Depending on the type of drone used, we can cover a variety of area sizes. For a drone that flies for 30 minutes with our kilogram payload, we estimate a mission can cover a single square kilometer. 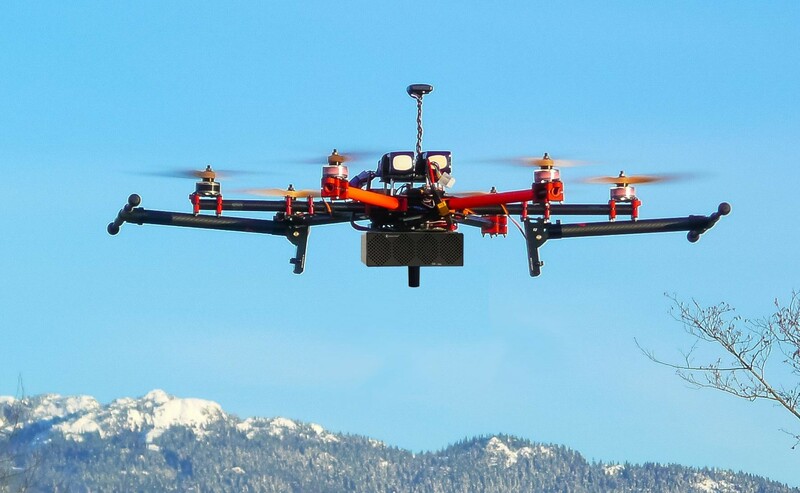 Multiple batteries can be prepared so that a single drone can conduct ongoing missions or if possible, multiple drones could be used to address a larger search area.